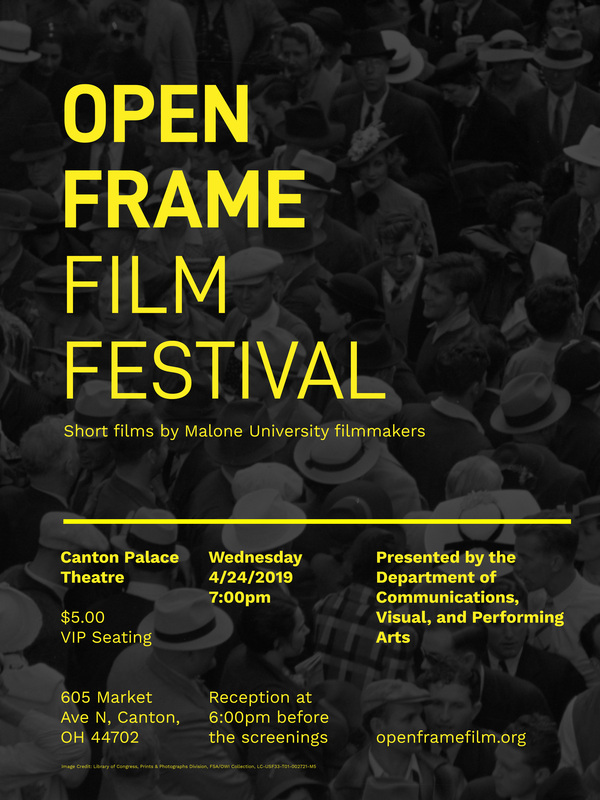 The 17th annual Open Frame Film Festival will take place on Wednesday, April 24 at the Canton Palace Theatre, located at 605 Market Avenue North. 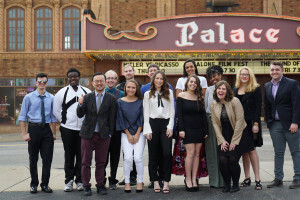 A one-night festival hosted by the Malone University Department of Communications, Visual, and Performing Arts, it features student films, the event is free and open to the public, with VIP seating and a 6 p.m. reception offered at $5 per person. For more information, visit openframefilm.org. Also, view an event flyer. A film development program, Open Frame helps students move through the film production process just as professional filmmakers do, as students explore topics such as the Christian faith, privilege and poverty, human rights, family, and milestone life events. Genres include drama, narrative fiction, documentary, and music video. The event is organized by Assistant Professor of Media Production Sangsun Choi.